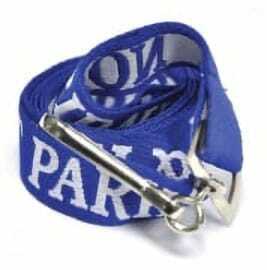 Lanyards are durable fabrics that are comfortable and fashionable. They hang around the neck, holding items such as keys, I.D cards, sunglasses, cell phones, water bottles, flash drives, and any small essentials a person wants to keep close by. Although they're a simple product, they're highly functional. That's the reason they've remained popular for so many years. Some aren't sure how to pronounce the name, or even what they're called at all, but most people have owned or worn a custom lanyard –they're that common! Can I order lanyards online? Yes! 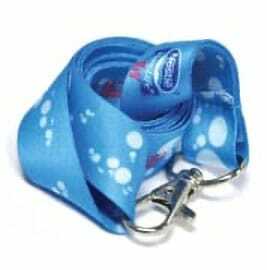 Direct Lanyards offers free quotes and artwork proofs to all our customers. Our friendly and knowledgeable staff is always happy to assist, whether you order via email or by calling us toll free at 1-877-599-6746. When you're ready to start shopping, we'll rush you an expertly designed proof for your approval. Depending on your need, we can have your custom lanyards at wholesale pricing, at your doorstep in a flash! 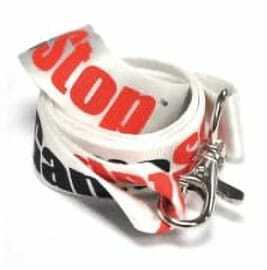 Lanyards are not a new item, although new printing processes give custom lanyards a modern look and feel. People have worn lanyards for centuries. In the past, the sturdy straps were made of leather, and used to carry swords, pistols, whistles and more. Over the years, our needs have evolved. Most of us are no longer wielding swords (or so we hope), but we can still find countless uses for lanyards. They help us stay organized – and that's something that never goes out of style! Today's lanyard wearers are busy moms, school coaches and staff, business professionals, promoters, hospital employees, and anyone who appreciates a time-saving tool and functional accessory. How do lanyards help promote business? Lanyards are among the most widely purchased promotional products. They work well for several reasons – they're useful for everyone, from school age and beyond, they're completely customizable, and they're long-wearing. Unlike logoed pens that leak, or other useless products that end up in your child's toy bin or the trash can, lanyards serve a purpose. 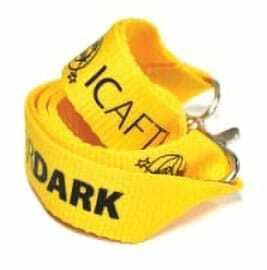 With plenty of fabric choices and printing options, any marketer can choose the right lanyards to bear his logo or business message. When it comes to branding, visibility is the key to building a good reputation for your business, and earning trust among clients and potential customers. Lanyards are a subtle tool that takes your name into the world. They offer unmatched exposure at a fraction of the cost of billboards, commercials, and other high-priced streams of advertising. Our minimum order is just 100 lanyards, and with factory-direct pricing, we promise it won't be too painful! With our high-end printing machines, we'll give your lanyards a distinctive look and designer feel. We're sure they'll go fast! If you have any additional questions, feel free to ask. Our priority is always your satisfaction. We can't wait to meet your needs and exceed your expectations!